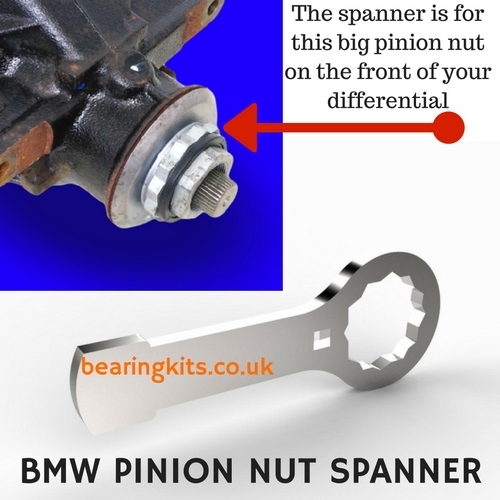 The BMW X5 E70 rear differential needs a special tool spanner to remove the large 12 point pinion nut. This nut requires removing to change the pinion oil seal or to swap the noisy pinion bearings. The tool shown will help to make your job easier, if you're just changing the pinion seal it can be done whilst your diff is still fitted to your X5.